The Union Brewery are pleased to perform for and support our Sisters and Brothers at The West End Well, a co-operatively run grocery, café, and meeting space in Ottawa’s Hintonburg neighbourhood. The West End Well envision a healthy and sustainable community that is nourished by their connection to each other, abundant local food, a fair economy, and a creative and vibrant culture. So does the Union Brewery Quartet. This Friday come check out the space and the Quartet. Friday, July 24, 2015 from 8:00 pm to 10:00 pm. Facebook Event Page Yes! Invite your friends! 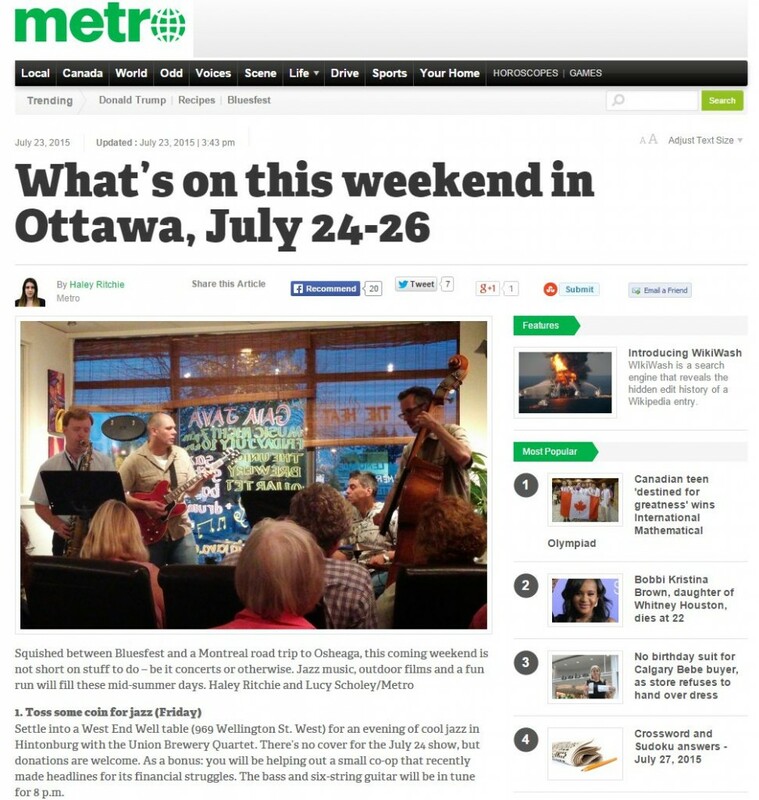 Thanks to Metro Ottawa for picking our show as the 1st item in their “What’s On this Weekend” column!